After all the dreary skies that we have had on the Dorset coast recently we are finally getting some better weather and it is good to be able to get out again. 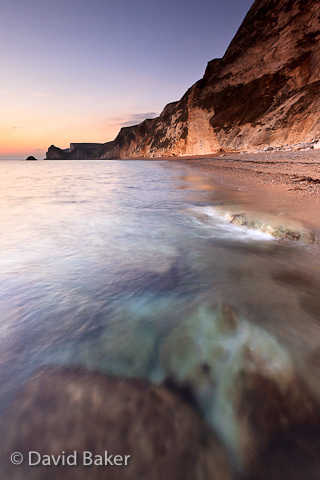 This image was taken this evening at St Oswalds Bay, which lies between Lulworth Cove and Durdle Door on the Dorset coast, I was perched on yet another rock with the sea lapping around the top of my wellies…I’m starting to think that waders might be a good investment! ~ by David Baker on 21 January, 2011.